During the last two weeks of September, and the first week in October in Munich, Germany is something called Octoberfest (a.k.a. the best beer party in all of Europe)! It's on my list of things to do and places to see, and being that it's coming up, it got me interested in finding out a little bit more about this fabulous European city. 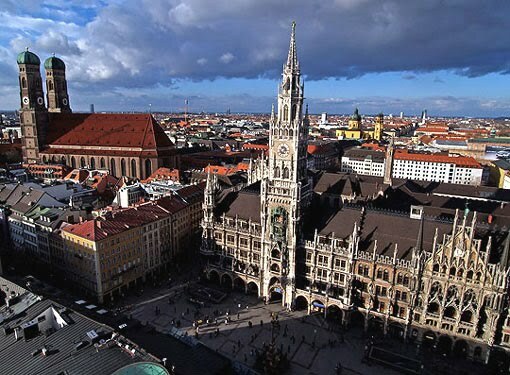 In short, Munich is being called the "Hot Spot" of the moment in Germany by many travel-gurus. So if you love beer, history, shopping that's said to rival Paris and Milan, and if you enjoy traveling to a place with a buzzy European city, Munich's the place for you! Here's JSS' Mini Hit List of some things to do if you jet set to Munich. - Walk from Karlsplatz to Marienplatz, explore the shops and churches. Also around the back of Rathaus is great shopping. - Have a Bavarian breakfast in a beer garden or beer cellar; eat Weisswurst, beer and a pretzel before 11am, but make sure to peel the sausages!